David M. Vining is an author I only discovered earlier this year. A novel of his was recommended by an author I respect and trust. 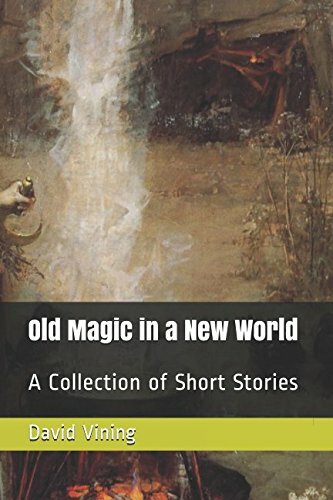 But not willing to take the plunge on a historical fiction novel, I decided to try one of his collections of short stories. And within a few weeks had read his 5 collections of short stories and the novel. And now I eagerly await his net work to be published. 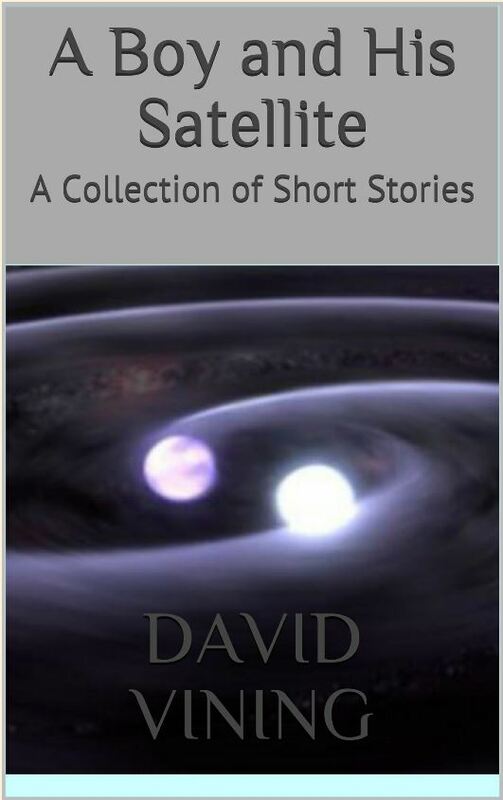 As a budding author, David’s work is wonderful to read. 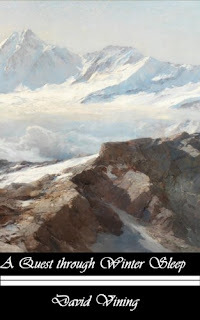 He took time recently from the many hats he wears to answer 20 questions for the readers here at Book Reviews and More. So here in his own words is David. 1. When did you know you wanted to be a writer? How are you nurturing that dream? I started writing in elementary school. I remember loving to throw myself into every writing project assigned to me. I also developed a little comic book company with a few friends that last a grand few weeks. My big early project was a piece of Star Wars fan fiction (which is thankfully lost to time), followed by a The Lord of the Rings knockoff I tried to begin in high school. In college, I majored in English Literature, and I took more than my fair share of creative writing classes where I thought very highly of myself. It was about this time I started what would become my first completed novel (more about that a bit later). I never took the work of writing that seriously, though. It was only a few years ago in late 2013 that I decided to make writing something I would pursue as full time as I could manage. Unhappy with my job, I decided that the only way out of "real work" was my writing, so I started a promise that has led to me writing more than 1500 words a day almost every day today. 2. Who were some of the biggest supporters of your writing? That's easily my mother. As a writer herself, I think she enjoys to see one of her children following, somewhat, in her footsteps. She's always encouraged my imagination and, in particular, my reading. She's read almost everything I've written and been the one person to give me strong feedback regularly. I've learned to listen to her recommendations, even if I don't always agree with them. For the longest time (through college), I imagined myself as the next James Joyce. As you can imagine, that led to a lot of confused writing without much mooring to anything tangible a reader could latch onto (what a pompous amateur with significantly less talent will generally create when aping James Joyce). Since, I've stopped trying to be flashy and have focused more on just trying to tell stories. Cormac McCarthy was a strong early influence. I love his elegiac style (which I sometimes strive to mimic), but his intelligent use of violence in the service of story imprinted well with me. Ultimately, though, I really try to just follow the two main rules of writing that one of my college professors (Robin Allnutt) passed along to me: Never be muddy. Never be boring. 4. In the back of your books one of your acknowledgements is: “and to my employer for designing a building with many small conference rooms where I could hide away for my lunch hours and toil instead of eat.” What is your current day job? I work for a software as a service company that deals with health insurance for employers. Most of the year, the job is relatively relaxed with enough opportunities for me to peel away and find a small conference room to write in. I make a special effort to do exactly that everyday on my lunch. 5. Do you see yourself writing full-time for a living? That's the ultimate goal, although how I'll finally get there is still a mystery. I've pursued literary agents but I've never been able to find representation, so for now, I'm trying to leverage independent publishing to gain any kind of traction that I can. I always have ideas swirling in my head. If I don't have a set plan for the next two projects, at least, then I feel a little lost. Once I'm ready to take one of these ideas to the page, though, my process is actually fairly regimented. I have a pre-writing process that tries to hammer out as much of the plot and character elements I can before I start Chapter 1. My very first novel was done freeform, and it produced something less than ideal. After a bevy of outlines, character profiles, and other materials, I sit down to write the first draft. Once I begin that draft, I continue through until it's done. I never go back in the middle of a draft to change things, that's the job of the second draft. Once through, I set the draft aside and try my best to forget about it. I'll go to another project (a third draft of something else, for example), giving me, hopefully, enough time away from the first draft to approach it as any reader would which will help me identify issues more objectively. My second draft includes a set process as well. I read the whole thing, write down my thoughts on the entire work, and then I go back through again. I'll then approach the book chapter by chapter, filling out a worksheet about what the chapter is trying to accomplish, how well it does it, as well as any other strengths and weaknesses, and rewrite as necessary. One other thing that I do is handwrite my first drafts for a variety of reasons, which means that at the end of my second draft, I have to type up the whole book, one of the most miserable experiences of the entire process. However, I keep it up because of my attachment to writing by hand, and this transcription forces me to look at the whole thing one more time. Any subsequent drafts largely follow the same pattern. 7. You have published 5 collections of short stories and 2 novels. 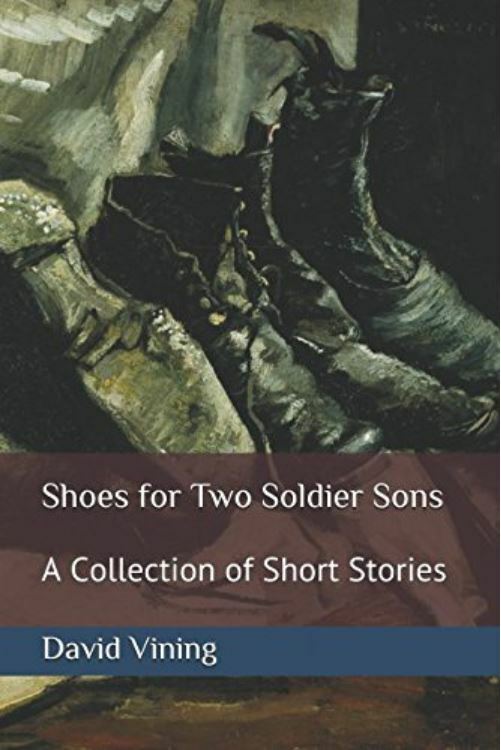 Were the collections of Short Stories written as collections? Or did you write a series of stories and then group them afterwards? 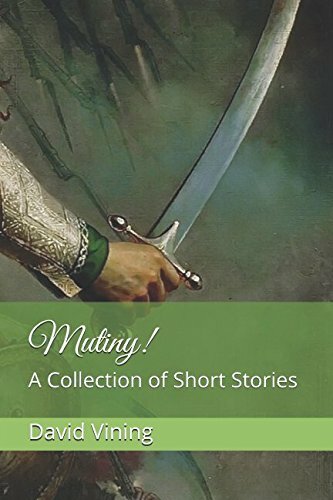 I wrote the short stories as an effort to create a bevy of content before I released my first novel (The Battle of Lake Erie). A little more than a year ago, I was considering the independent publishing route and decided to do it, but I did not want my first foray to be a novel that I had spent months and months on to be that introduction. I could imagine the anti-climactic response it would get. So, I made the conscious decision to write 5 short story collections, release them monthly, and then follow up with the novel. 8. 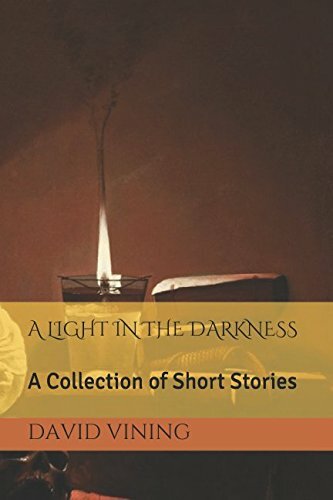 Of the 25 published short stories across the 5 collections, which was your favorite to write and why? It would probably be "A Question of Principles", the Star Trek Voyager pseudo-story. Out of all of the short stories in those collections, it had been the one in my head (in one form or another) for the longest. What gives me the most pride, though, was that I handed it a Star Trek fan friend of mine who read it and said that it felt like a real episode. Granted, it intentionally breaks with several of the conventions of the series, but he felt that the characters were well represented. 9. 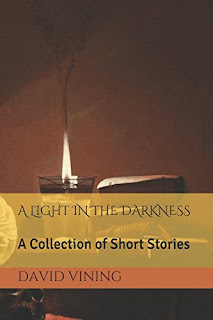 Across the 25 published short stories to date which character is your favorite and why? I have a certain affinity to Matthew March, the protagonist of "Salut" in Old Magic in a New World. He's a slimy and entitled brat, but I find his cluelessness kind of endearing. I also like Jacques Martin, the drunk Frenchman trekking through the Brazilian rainforest in search of a lost treasure, in "The Jewel of the Moon" in the collection A Light in the Darkness interesting as well. I find him to be an enigma, so much to the point that I still haven't decided what made him famous in the framing device, or whether he ever found the jewel itself. 10. Why did you publish the short stories as 5 collections of 5 compiled thematically instead of as a larger single volume? It was purely an effort to extend the release over a greater amount of time and extend the amount of attention I could get for my work. Nothing beautifully artistic about it, just cold hard business strategy. 11. Your first novel, A Quest Through Winter Sleep, is now out of print. Do you ever see it coming back into print? I wrote this book over the course of about two years right after college. As I alluded to earlier, the book was written freeform without any strong plan. As such, I find it a meandering mess with little justification for the length. It has some interesting ideas and images, but in order for me to fix the book to my own satisfaction, I estimate that it would take me at least six months of hard work. I think it's better to leave my first effort as a "lost work" than to spend so much time trying to salvage it instead of pursuing ideas I find fresher. 12. You have a professed love of history, and specifically American history. Of the books that you have read on the topic, which ones would you consider essential reading? Most of my reading of history I've decided to do through biographies of American presidents. I'm going in order from Washington forward. As of this moment, I've finished through Andrew Johnson (the 17th President) with two competing biographies of Ulysses S. Grant calling to me from my bookshelf. Regarding your actual question, the two works that I find rather indispensable to understand the early days of the American republic are two six volume biographies of the 3rd and 4th Presidents. Dumas Malone is responsible for the biography of Thomas Jefferson. Irving Brant wrote the biography of James Madison. As a quick tangent, it was actually this biography that first introduced me to The Battle of Lake Erie as a one and a half page summary of the battle I read that description, fell in love with the event, and began a series of research that ultimately led to me writing the book. At the moment, I'm just not big enough to worry about it. I need new readers as much as dollars for my work. 14. Some authors monitor torrent sites and contact them to remove their content. Do you do so are have someone do so for you? I did a quick search after I read your question, and I haven't found anything, but again, I'm just too small a fish in too large of a pond for that fight. 15. You mentioned on your site a love of movies. What are your some of your favorite movies? The list above is chronological in order. I love many more movies, but if relegated to only ten for the rest of my life, I'd find the above to be much more than satisfactory. My teen years were spent reading Star Wars Expanded Universe novels and The Lord of the Rings. I could have spent more time reading Heinlein or Asimov (which I dabbled in), but ultimately those years were shaped by those two main sources. I've read Ulysses by James Joyce twice. The first reading left me confused, and the second reading left me enraptured. I read the Barsoom books by Edgar Rice Burroughs a few years ago as a source of light reading, and I've enjoyed them quite a bit. I've been very slowly making my way through this list of English novels of the 19th century, starting at the bottom with The Wanderer (which I viscerally hated) and most recently having read Mary Barton (which I found to be two different books in one that weren't combined terribly well), but with Jane Eyre and Great Expectations at the top of the heap, I'm certain I'll find more greats along the way. I remember one of my last classes was a fiction for children course taught by a woman who had never instructed the material before. She gave conflicting information about what she expected a children's story to be. For example, she championed Roald Dahl as an exemplar, but hated dark themes in the work we actually turned in. In the final week of class, I wrote an email to her explaining how I had met the requirements of the course, even if she didn't like my writing in particular. Once completed, I was quite satisfied with the email (which she never responded to), because I felt like I had argued my case quite well. I'm not sure that was the goal of every single one of my teachers, to simply get me to a point where I could effectively argue, but I believe that my personal experiences in college led to that. And argument really comes from the ability to understand. I think of St. Augustine and something he said in The Confessions about how education for him became less worthwhile when his teachers stopped teaching him how to think and started teaching him what to think. I'm not sure. Maybe I'll take some parachute drops of books from time to time, tossing what I don't want to keep me at or below ten. Writing is a job. Treat it like one. I get the impression from those who want to get into creative fields but haven't yet, that they imagine the creative process to be akin to dancing through a field, tossing flowers in the air, and receiving inspiration from the universe. If there's anything like that in the real thing, it lasts for a few minutes as you develop the beginnings of ideas. Once that's done, then it becomes hard work to tease that idea out into something resembling a story, to populate that story with characters resembling people, and then to assemble it all into something resembling readable. That effort takes hundreds of hours for a novel, and they are the kind of hours that are the most thankless one can experience, turning that blank page into something filled with words. Turning nothing into something. A second piece of advice is to learn how to critically read your own work. That doesn’t mean insisting that everything is terrible, but understanding what is good and what is bad. I find that a buffer of time is one of the best things that leads to me to begin being able to do that. Focus on finishing the first draft, and worry about rewrites later. It's easier to fix a first draft than to complete a first draft when you can't get past chapter 1. Thank you, David for taking the time to answer some question for the readers. If you have not read any of his books yet I encourage you to give them a try. The short stories are amazing, and the novel is excellent.